Summary: In this world, humans coexist with demonic predators called Yoma. These beasts feast on human innards and can take on a human form. As a counter force, a mysterious organization created half-human, half-Yoma warriors known as the “Silver Eyed Witches” or “Claymores,” after the huge claymore swords they carry. They are the only force that can combat the Yoma, but are hated by humanity because of their Yoma half. 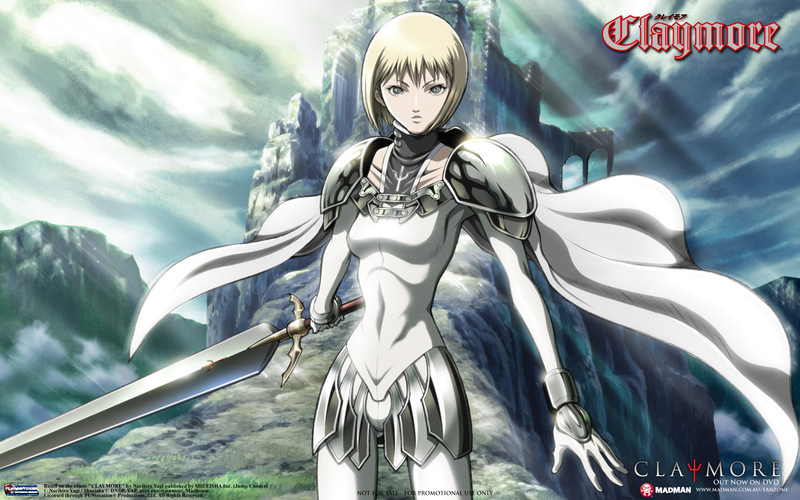 The story follows a young boy who has lost everything in a Yoma attack, and the Claymore, Clare, who is an outcast to both humanity and the Claymores. Clare has a goal she swore to fulfill in her childhood. She is determined to fulfill that goal, no matter the consequences. 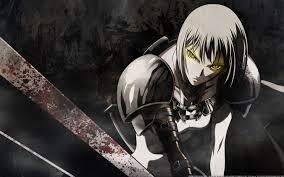 Claymore is one of the first anime that I watched and was truly impressed by the story. It blends moments of happiness with moments of sadness and despair in a way that leaves you not knowing what will happen next. While it is a fantasy, it is realistic in showing that no one is safe. Every character in the anime is susceptible to the gruesome world that they are a part of. None of the characters are perfect, they all have their flaws. You might enjoy this if: You are in the mood for an exciting journey full of ups and downs. You might not like it if: You are afraid of your emotions being toyed with. Note to the Viewer: There is quite a bit of change from the beginning to the end of the season. This entry was posted in Anime and tagged 2004, action, adventure, anime, claymore, fantasy, fragglepuss, medieval, review, spring, supernatural. Bookmark the permalink.